Post Formats and Sticky Posts are accented with larger images and different background colors to set them apart from the rest of your content. 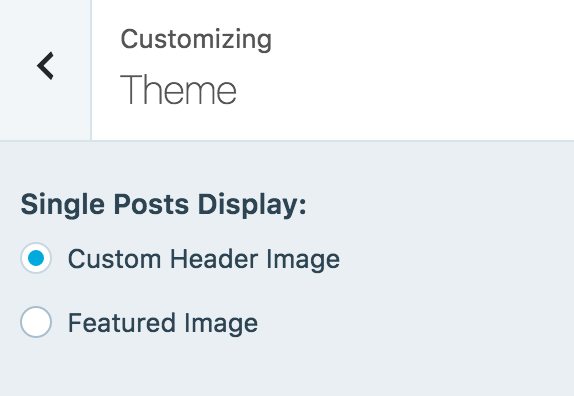 You can choose whether to display a Featured Image or the Custom Header Image as a background to the site title area on single posts and pages by going to Customizer → Theme. By default, Eighties will display the Custom Header image. Full-width Featured Images are displayed above the post content on the blog index and archive pages. If the «Featured Image» option is checked under Customizer → Theme, it will also be shown on single posts. Eighties includes one widget area behind an icon (located at the top-right corner of the header) and three widget areas in the footer. Both areas are configured under Appearance → Widgets. Create a new Custom Menu, and assign it to the Social Menu location. Icons for your social links will automatically appear underneath the main navigation, which is accessed by clicking the menu toggle icon (three horizontal lines). Eighties includes one more Custom Menu in addition to the Social Links menu. The main navigation is located behind a toggle menu icon in the header. Eighties takes advantage of the Portfolio feature on WordPress.com, offering unique layouts and organization for your portfolio projects. You can learn how to enable and set up this exciting feature here. People love seeing full-size images of your work, so make sure the images you include are at least 1000px wide. Eighties displays these images at full width on larger screens. The Portfolio page is automatically generated from your Portfolio projects and appears at /portfolio on your site, for example https://yourgroovysite.wordpress.com/portfolio. There is no need to manually create a page. Note: The parallax scrolling effect in the header is visible when Infinite Scroll is not active. The main column width is 760. The Sidebar widget widths are 500. The Footer widget columns are 33% each. Featured Images are 1000 wide by unlimited height.